[ Fatima Zahra (A.S) Uswa-E-Kamila Dars 10] Topic: Azmat E Fatima (S.A) | Ustaad Syed Jawad Naqvi Feb.
this playlist consist Agha murtaza zaidi\'s speeches which deliver Dec. 2013 (safar 1435). 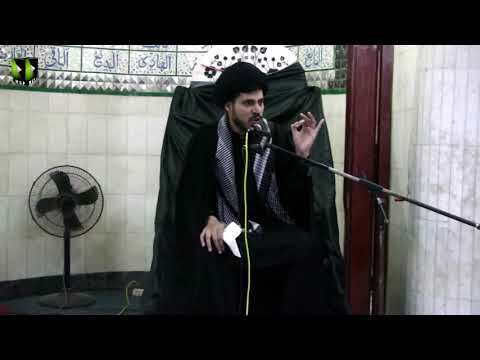 This playlist consists a lecture series about "Tafseer of the Wasiyat e Imam Ali AS" By H.I. Ali Murtaza Zaidi in Urdu language. This playlist consist a lecture series about "Mout ki marhalawar tafsillaat" delivered By Dr. Syed Abid Hussain Zaidi. This play list has a serial of speeches regarding "Religion and Politics in the light of teachings of Ahlul Bait" by Agha Zaidi in Urdu Language. This playlist have 2 lectures of Agha Zaidi about "Rights and Responsibilities of Women" held in Norway. this playlist consists different speeches about quran in different locations. This play list have different lecture series and seminars about imam Khomeni in different places. This playlist consists lectures about law of business. This playlist consists various speeches and lectures for zakiras and Azadari preparation in different places. This playlist consist lectures on Tafseer Sura-e- Muzzammil by AMZaidi at Anjumam-e-Khudadam ul Quran Kharadar Karchi in Ramadhan 2010. 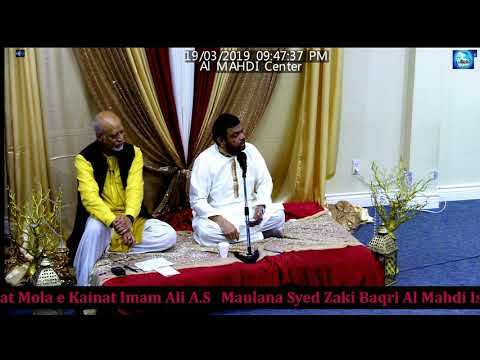 This playlist consist diffenent khutabaat of Agha Murtuza Zaidi such as eid Kutba, jumma kutba and etc. this playlist has different speeches related with education/educational system. This play list included different manqabat and naat in different languages. 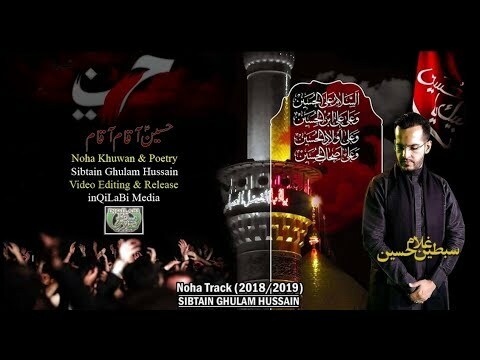 This play list includes Khutbaat-e-Imam Hussain(a.s.)from medina to karbala to different people.In urdu language. Qasiday related with the month of Shabaan in urdu and other languages. This play list included Moulana Haider Shirazi's small speeches and sayings of imams about Grave. this play list include Documentary about Dr. Muhammad Ali Naqvi. This play list includes Sayyed's dars translated by Moulana Abid Hussain in Urdu Language. This playlist has the shetan movies in urdu. This playlist has duas for day 1 to da 25 of Ramadhan in Arabic with subtitles in English.Duas for day 5,6 & 8 are missing. 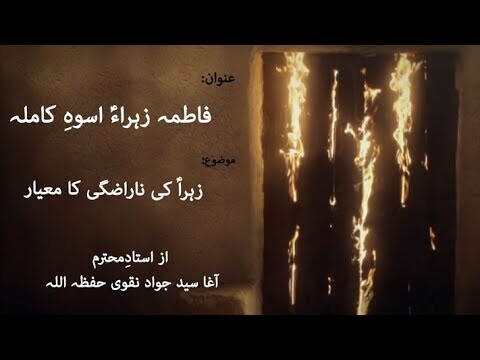 This playlist has all four videos from the serial The Messiah in Persian. 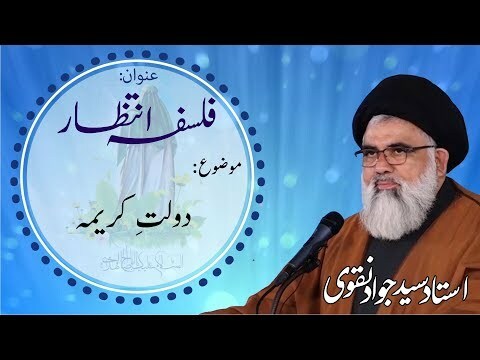 Playlist that has the videos of the production by hidayat tv. This playlist is the shaytan videos in gujrati. Mashallah Brother Haider, May Allah give you more Tofiqaat. very nice delivery and very informative majlis . True Student of Agha Jawad Naqvi. What kind of Noha is This?? Excellent explanations!!! May Allah Bless Moulana Kazim Abbas and give more Toufiqaat to him .Good job Team Wisdom gateway. Mashallah Brother Ali Ali (Chawla) got Amama Now Shaykh Ali. Congratulations to Shia Tv Team, Brother Ali's Family and Friends. Excellent explanation of Shab e Qadar. After a long time Brother do great work. Thanks team IslamicPulse. Is this video suppose to upload on stv? is this Howza life? i think pregnancy is a personal thing. 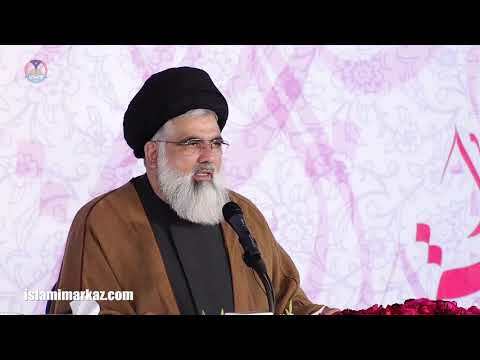 Most of our ullama have children and their women give birth in Iran what is new in this video? only waste of time and resources. please don't post these type of videos at least on front page. young children are also see. i hope admin and stv management will see these type of videos carefully. or may be policy changed and give Hydro version of islam to the viewers. What kind of work is this? make me crazy!!! is it a CSI episode? waste of resources Sorry to say. 1. who built Pul-e -Sirrat? 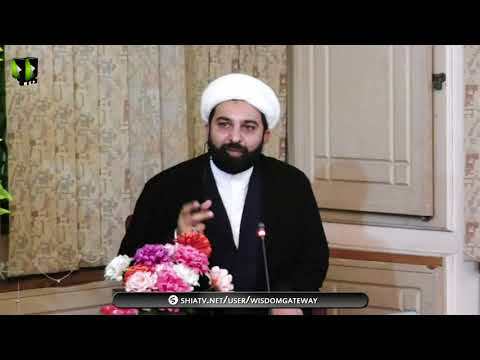 2. how to build Pul-e- sirrat? 3. how we make right decisions? Describe Khutbah 194 in Raies Jafri's translation. Excellent work done by Qom Tv. Excellent video editing. Excellent work done by Brother Jaffar Raza. Thumps up for Wisdom gateway Team Work. May Allah give more and more taufiqaat to Shia Tv and wisdom gateway team. very nice clip!! we want to hear full Speech of Br. Haider Jaffri.. Why always load clips of him? 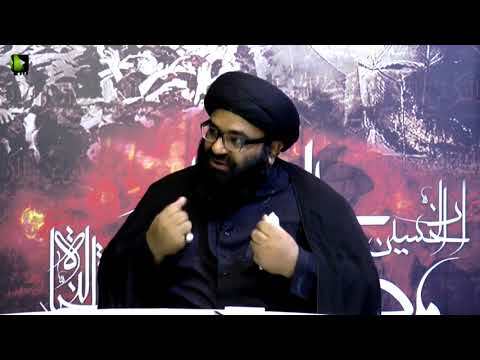 where are the Majalis of this Brother? Excellent message !!! by the way where are other western Ulamas regarding Shaykh Hamza Issue? Are we united against Tagaoot of our time? Where we found Moulana Haider Ali jefferi's full speeches ? 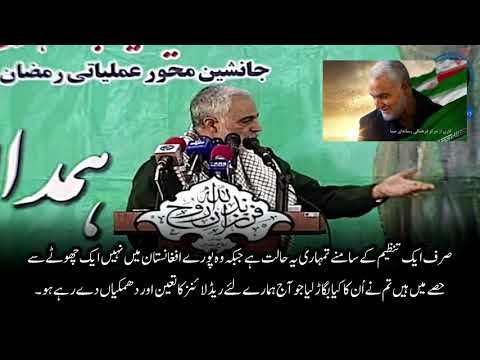 Excellent series on Shia Tv from Al-Balagh after a long time thumbs up for AlBalagh. May Allah give toufiq to do more and more work like this. Meaning-ful Nouha, True message given by Brother Ali Deep and as usual excellent work done by Wisdom Gateway (team). Mashallah Excellent job done by editing team. Mashallah !!! May Allah accept all the efforts of AMZi team. Low audio quality!!! Can anyone improve the audio quality. very nice clips. can you please give the name of full speech of these video clips thank you. Mashallah very interactive, strong and different way of teaching imam Hussain message. Heart-breaking dua night !!! 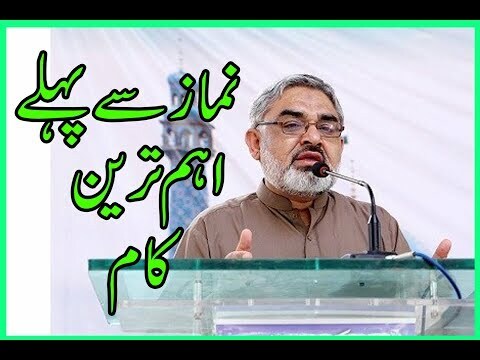 must listen before ammal of Shab e Qader. Now After six year of Agha Zaidi,Yaman situation is clear.One other piece of puzzle add. these two are missing we are trying to find it. Please fix the title in other majalis of same series topic is "Hussaini Sakhafat aur asr-e hazir kay muslaman" it is not sakhawat (Generosity). Must listen!!! clear the concept of Al Quds. As usual very interesting lecture. Relationship with parents,relationship with family and relationship with friends. set goals. do you set standards with Allah(swt)? clash with deen. these are few points of the lecture. Must listen speech. He defines very well, the root cause of corruption. As usual very interesting and interactive speech. A very nice classic gift of Agha Ali Murtaza Zaidi. May God increase his knowledge, health and toufiqaat. 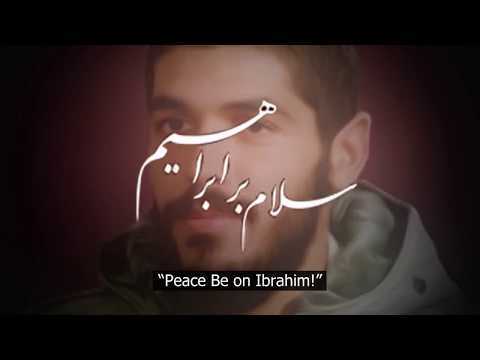 Why Shia Tv not remove Basim Karbali's video after this? why you wait? Please "translation team" translate it. I understand some of it. I need full version. 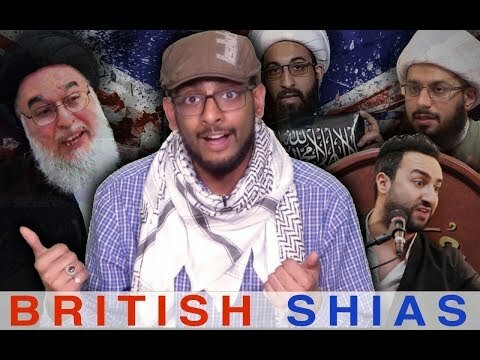 Must listen lecture especially for people who live in the west. As usual very informative speech delivered by Ustad Jawad Naqvi. few points are abai deen aur Anmbiyai deen.Especially for women.Allah give soft heart and weteyes(dil-e-nerm and chashum-e-ter)to the women.women rights before marriage,haq mehar and etc.How Bibi Khadija (S.A) and Bibi Zehra play special role in the Life of Prophet(saww).must Listen. 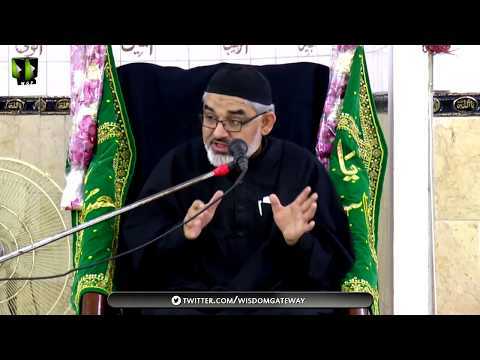 Must listen lecture.Few interesting points are difference between sirat and suirah. How Asia deal with Firon in olden times,firons present all times even in present time. Sirah Fatima (s.a). How we arrange marriage ceremonies. etc. very nice movie especially for children as well as adults. Very nice clip of Amzaidi with terana a must listen clip. why shia tv management and volunteers forget about these type of personalties anniversaries? we expect more from shia tv side. 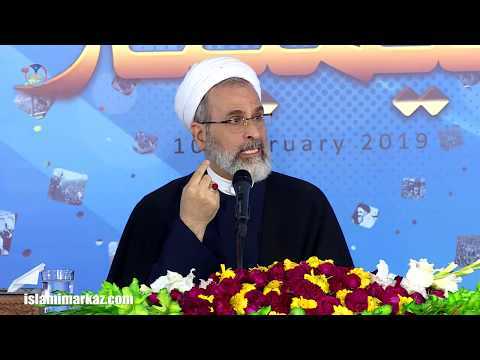 Why this year shia Tv organizers and volunteers are silent on shaheed's death anniversary? only one video is enough for him? last year front page was full of his memories why not this year? Hay humari dursgah Karbala Karbala!!!! must listen lecture series. Agha Jawwad Naqvi explained the topic very briefly and to the point. very heart touching examples he gave it in the lecture. Thank you Mrs. Ali i made it Sweet version of it(Cream roles). with the help of the basic Technic and change bread dough with Puff Pastry result is amazing!!! 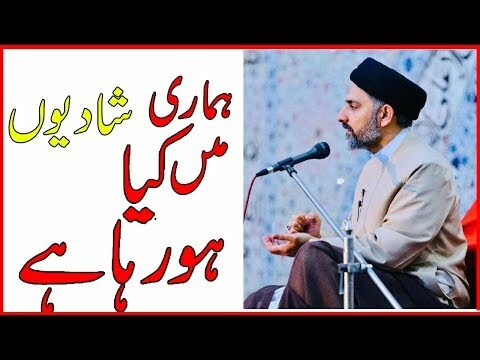 Must listen as usual very nice points raise and explained by Agha AMZaidi eye opening points for Muslim leader as well as Shia parties. must listen poem very nice poem thankyou Jamshad bhai for your efforts. Mrs.Ali can uou please tell me which chadder cheese is halal in U.S.A and Canada? Very nice explanation. Ziyarat-e- waritha reference. Very Informative political analysis. Must listen speech. Thanks for mentioning the error on episode number. Thanks for sharing. More understandable in urdu language. Very unique information delivered by Agha Jawwad. very well define the types of Aqal baniya aqal,tohmati aqal (this is for women),shatani aqal and aqal e ammali. these are the few points . it is a must listen lecture for us. Must listen lecture. very informative lecture. I heard it first time in my life. it is important for self building and preparing for our graves. Heart touching Nouha. If you listen carefully it is understandable for urdu speaking person, the last few mintues are very good. very nice and briefly explained the steps of death and here after.Must listen for preparation for our graves. As usual very informative lecture. very well describe how to start a project, different strategies and how to complete the projects. Mashallah great program. Deep knowledge of current situations.Shiaat background in Pakistan and other matters explained very briefly. well done Haider Bhai you choose very nice poetry. Recent Quetta situation,Pakistani people behavior, define jagirdarana nizam and law breaking conditions are few points of this political analysis. This part has also very important details. Must listen both parts. Why the Gold prices are highest level these days? explanation, USA economy, doubts and realities are few points of this Zavia Nigah. very easy recipe with little ingredients. Mashallah very nice poetry. We miss this type of poetry brother please recite again these type of poetry. My Golden Memories!! !I miss both Aunties, beloved sisters and all kids. Mashallah very nice poetry recite these kids. please please shia tv team translate it into english or urdu. please some one take step we need these type of speeches. "A humble request" whenever anyone make clips from the speeches please mention the complete name of the speech, so we search,and listen all the speech from other sites. He was Son of Imam Khumain's teacher, please can anyone translate this video in Urdu and english? must listen speech for men and women. it is directly concerned with your kids. wow i like the recipe i will try. when I was a child one of my aunt made these type of potato pancake but she never use to tell the recipe, now Mrs. Ali help me thankyou sister. Very good Points raised by Moulana sahib. Time mangement,Books are good friends, selection of books are few points. Listen and increase your knowledge. Murdabad Shatan-e-Buzurgh. 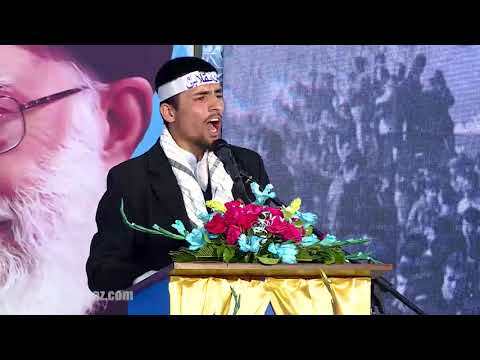 Murdabad Israiel,Labaik Khaminaei!!! 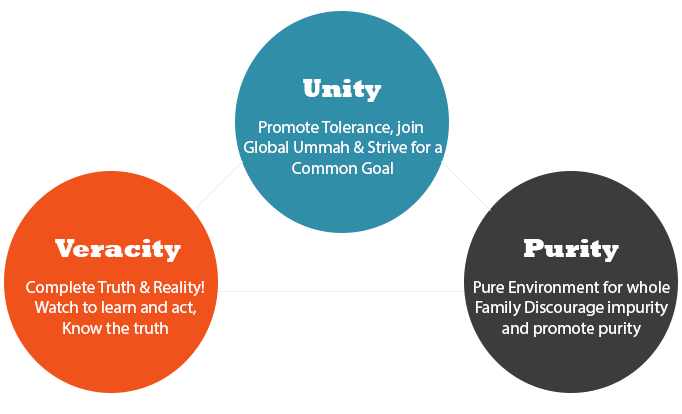 very informative speech.Guidance to the true path. Enhance the Love of Imams in our hearts. what a naat!! 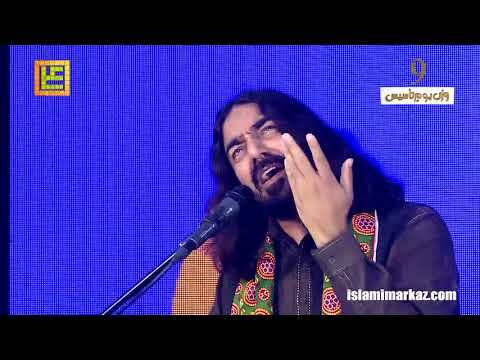 I have never listened this type of naat before that. A role model,True believer of Imam Ali, Only one president in Muslim World who follow the right path right direction and right attitude. what a piece of poetry!!! nice poetry about Hazrat-e- Abbas. 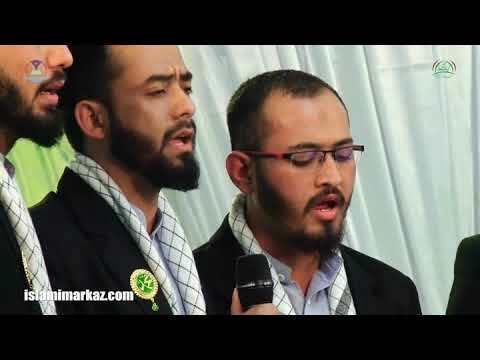 very good qasida with beautiful recitation. Very good tribute to a mother. Real experience. Mashallah must listen Zavia eye opening facts as usual delivered by AMZ. Mashallah what a nice recitation!!! Mashallah ....keep it up!!! Very nice efforts of the Kids as well as Parents. 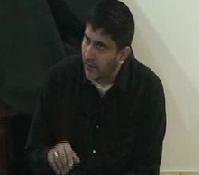 keep it up Fiyyaz bhai,must listen speech.very informative with nice poetry.